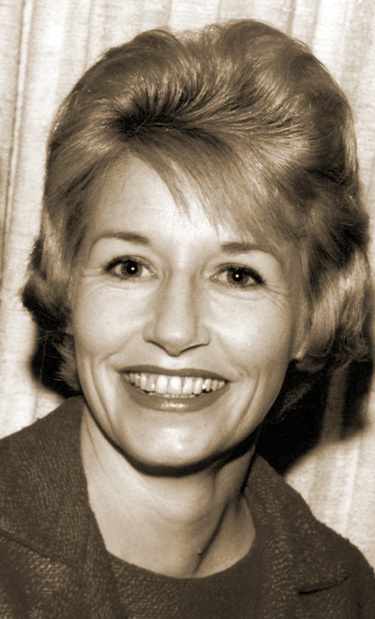 An important figure in building a network of antifluoridation activists, Martha Bevis was born in North Carolina in 1927 and lived most of her adult life in Houston, Texas. She worked on the staff of Senator Lyndon Johnson beginning in the early 1950s, remaining with him through his period as Vice President. Always energetic, she was involved in a number of political and civic organizations, including those promoting natural childbirth and breastfeeding, but from the mid-1970s, she was especially associated with the antifluoridation movement. A founder of the Safe Water Foundation of Texas, she became a key litigant in a case seeking to block fluoridation of the water supply in Houston, and although the court ruled in 1980 that fluoride was harmful, it permitted the city council to proceed with fluoridation. From that point forward, she played a key role regionally and nationally as an organizer, researcher, propagandist, and funding source for the antifluoridation movement. Bevis died in Houston on April 22, 2007. This massive archive stems from Martha Bevis’s role as a connector and mediator of information for the antifluoridation movement. Beginning in the 1970s, Bevis gathered, copied, and distributed huge quantities of information on the health effects of fluoride, legal strategies and cases opposing fluoridation of public water supplies, and the antifluoridation movement generally. Bevis maintained a regular correspondence with other activists and antifluoride organizations and played an important role in gathering and preserving the papers of other activists. A native of Washington, D.C., and graduate of the University of Wisconsin (1970) and Loyola University of Chicago Law School (1973), Norman Blumenthal moved to La Jolla, Calif., in 1976 to accept a position as Chief Operating Officer and General Counsel for an oil and gas exploration company. After twelve years in the corporate sector, Blumenthal entered private practice, shifting focus to the protection of employees, consumers, and securities buyers from unfair business practices and pursuing both class action and individual cases. Among other notable cases, Blumenthal led a class action suit against the city of Escondido, Calif. (Coshow v. City of Escondido, 132 Cal. App. 4th 687), arguing that their decision to fluoridate the city water supply in 2001 amounted to “mass medicating the entire community” without consent using chemicals that were known to be carcinogenic. In 2005, the court upheld the City’s fluoridation plan. In the spring of 1997, the investigative journalists Chris Bryson and Joel Griffiths were commissioned by the Christian Science Monitor to investigate the connections between the Manhattan Project and the origins of fluoridation of drinking water supplies. Using reclassified documents obtained through Freedom of Information requests and deep archival research, Bryson and Griffiths uncovered a powerful story that connected the rise of fluoridation to the rise of atomic weapons production in the early Cold War era. Although the Monitor elected not to publish the article, it appeared in the anti-fluoridation journal Waste Not in 1998, and was cited as the year’s 18th most censored story in the 1998 Project Censored Series. Bryson continued his work on the military-industrial roots of fluoridation in a later book, The Fluoride Deception (2004), which received that year’s Project Censored Award. The Bryson-Griffiths collection consists of materials compiled by the authors during the course of their research, representing the intellectual work of a decade of study on the politics and science of fluoridation. The collection includes a range of correspondence, transcripts of original interviews, memos between Bryson and Griffiths, and archival material gathered from the Manhattan Project and Kettering Laboratory archives. Noteworthy among these materials is a series of suppressed, unpublished, industry-funded studies that found fluoride harmful. 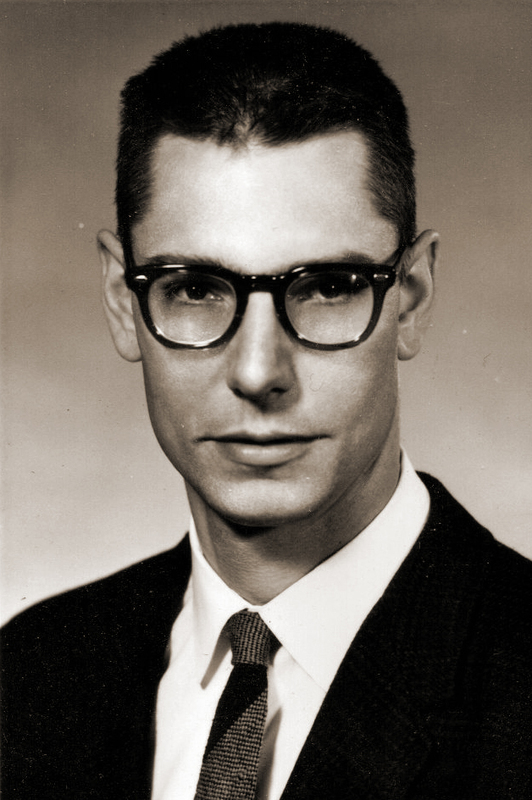 The chemist and ardent opponent of fluoridation of drinking water, Albert W. Burgstahler was born in Grand Rapids, Mich., in 1928. After receiving degrees from Notre Dame (BS 1949) and Harvard (PhD 1953), he embarked on a productive career of over forty years at the University of Kansas. His research in the synthesis and chemistry of natural products and the biological properties of fluorinated amino acids, led Burgstahler to a keen interest in environmental pollutants, particularly fluorides, and from the mid-1960s on, he enjoyed a reputation as one of the most prominent and prolific scientific voices opposing fluoridation. His efforts and long service as editor and chief of the International Society for Fluoride Research’s quarterly journal, Fluoride, was formally recognized by the Fluoride Action Network in 2006, which awarded him its Scientific Integrity Award. Burgstahler retired from KU in 1998 and died on Oct. 12, 2013. A large and diverse assemblage, the Burgstahler collection reflects the career of a stalwart in the anti-fluoridation movement. Spanning nearly five decades, the correspondence, publications, and research offer a perspective on Burgstahler’s activism in science and public policy and documents his association with other anti-fluoridation activists, including George Waldbott and Paul Connett. A resident of Brainerd, Minn., Elaine Chesley (1927-2011) was a woman of strong convictions and an activist in several causes, particularly the antifluoridation movement. As a member of Minnesotans Opposed to Forced Fluoridation in the mid-1970s, Chesley and the more strident Irene Johnson successfully prevented fluoridation of the water supply in Brainerd, and she remained active in the movement as a researcher and activist. She was also involved in several civic, environmental, and peace groups, including the League of Women Voters, the Green Party, Women Against Military Madness, the Women’s International League for Peace and Freedom, Brainerd Coalition for Peace, and Save Our Northland. Chesley died at the age of 84 on May 25, 2011. The Chesley Papers consist of materials collected in relation to antifluoridation activism. In addition to copies of a handful of historic documents on fluoride toxicity, the collection includes selective publications and correspondence. Since the 1960s, the chiropractor Stephen Dean has been one of the leading activists in Massachusetts opposing fluoridation of the water supply. Based in Springfield, he has been an effective organizer in antifluoridation campaigns in communities around the state, arguing against fluoridation both as a medical hazard and a violation of individual choice. In 2005, he led the successful effort to strike down a state mandate to fluoridate all civic water supplies. This small collection contains a handful of articles and clippings collected by the activist Stephen A. Dean regarding fluoride and the fluoridation of water supplies, and a note offering his expert perspective to journalists writing about the controversy. The radiologist Frederick Exner settled in the Pacific Northwest after receiving his MD from the University of Minnesota in 1927. Concerned about proposals to fluoridate water in Seattle, he and his collaborator George Waldbott became national figures in opposing fluoridation by the early 1950s and for decades, were considered among the most effective scientific voices in the movement. A prolific writer and lecturer, Exner is particularly remembered for his influential book, The American Fluoridation Experiment (1957), co-written with Waldbott. The Exner collection contains a number of mimeographed and printed articles by Exner on the environmental dangers and toxic effects of fluoride, dating from the early years of the antifluoridation movement. Separated from the Martha Bevix Collection. As the principal attorney representing the plaintiffs in two lawsuits to prevent the fluoridation of civic water supplies, John Remington Graham had a profound impact on the antifluoridation cause. In November 1978, Graham convinced Allegheny County (Pa.) Judge John P. Flaherty to prohibit fluoridation in the borough of West View, Pa., with the judge writing that it was “simple prudence” to do so in the face of evidence that fluoride was a carcinogen. Four years later, Judge Anthony Ferris ruled similarly in the case of Safe Water Foundation of Texas v. city of Houston, citing not only the carcinogenicity of fluorides, but their toxicity and inefficacy in reducing dental decay. Consisting of the trial transcripts of Paul Aitkenhead v. Borough of West View (No. GD-4585-78) and Safe Water Foundation of Texas v. City of Houston, District Court of Texas (151st Judicial District, No. 80-52271), the Graham collection documents two high-profile, successful attempts to use the legal system to prevent the fluoridation of public water. The founder and director of Citizens for Safe Drinking Water, Jeffrey Lee Green (1946-2014) was a national organizer in the anti-fluoridation movement. A management consultant specializing in the health professionals, Green was adept at using the legal and legislative process to raise awareness of the potential toxicological dangers of fluorides. In 1996, Green helped his colleague David Kennedy facilitate a ballot measure to stop fluoridation in California, and they were instrumental in initiating a congressional investigation into fluoride between 1998 and 2000. Green later contributed to the 2006 National Research Council report on fluoride. Green died suddenly on Nov. 5, 2014. The collection documents Jeff Green’s work with Citizens for Safe Drinking Water, providing strategic advice for grassroots legal and political challenges to fluoridation. Of particular note are legal files relating to two important cases in California: one challenging the city of Escondido’s decision to use hydrofluosilicic acid and the second leveling a constitutional objection to fluoridation without public consent.